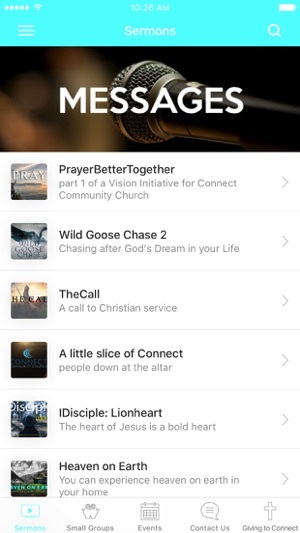 We would like a simple and clean app that helps people have multiple ways to get connected to our church. 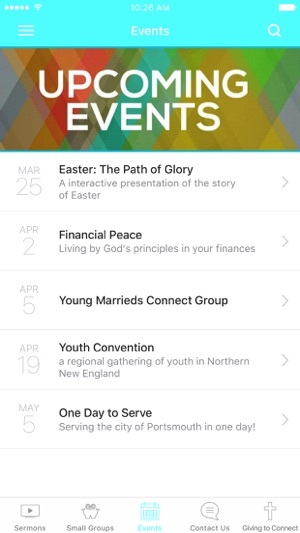 We want sermons, giving, small groups, calendar, contact us, connect card, locations, and website icons. 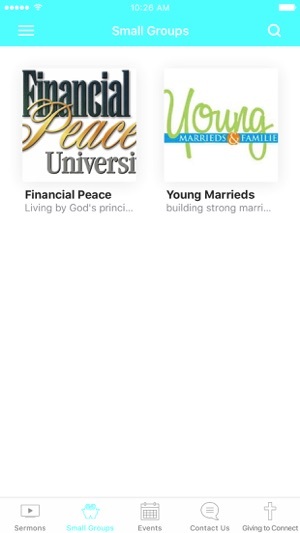 We would also like to send notifications through the app.